Photographs by Ruben Natal-San Miguel. Introduction by Sean Corcoran. Kris Graves Projects, New York, USA, 2019. In English. 64 pp., color illustrations, 8x9". This photography series focuses on capturing the last vestiges of the vibrant street culture, the traditions and lifestyles that are quickly being eradicated due to the aggressive gentrification that’s invading almost every corner of NYC. 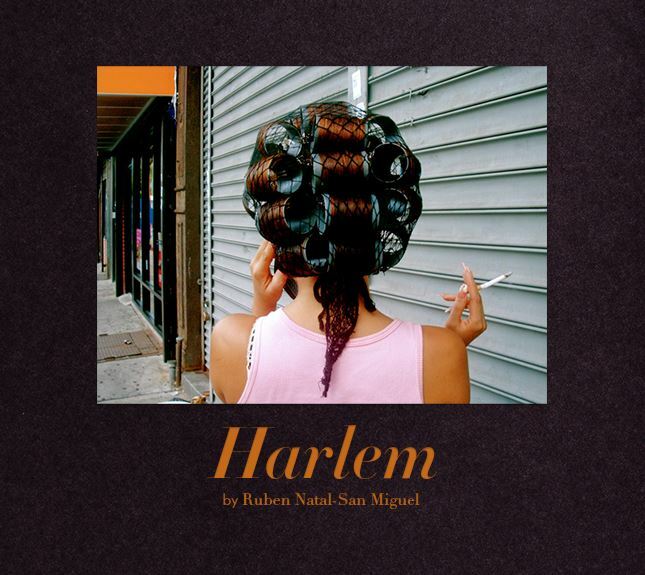 For the past sixteen years during the summer months, Ruben Natal-San Miguel has traveled by bicycle throughout the 5 Boroughs of NYC, camera-in-hand, in search of what is like to live in those NYC areas. This place had been ignored by the government and most of society. Natal-San Miguel has been able to find, not only a vibrant and colorful vision of that other Manhattan but, also a happy, endearing and very meaningful life lesson of what is like when the human spirit and communities make the best of others may considered to be so little. Ruben Natal-San Miguel is an architect, fine art photographer, curator, creative director and critic. His stature in the photo world has earned him awards, features in major media, countless exhibitions and collaborations with photo icons such as Magnum Photographer Susan Meiselas. Gallery shows include: Asya Geisberg, SoHo Photo, Rush Arts, Finch & Ada, Kris Graves Projects, Fuchs Projects, WhiteBox Gallery, Station Independent Projects Gallery and others. His work has been featured in numerous institutions: The New York Public Library, Schomburg Center for Research in Black Culture, Griffin Museum of Photography, Museum of Fine Arts Boston, African American Museum of Philadelphia, The Makeshift Museum in Los Angeles, University of Washington, El Museo del Barrio and Phillips Auction House. International art fair representation includes: Outsider Art Fair, SCOPE, PULSE, Art Chicago, Zona Maco, Mexico, Lima Photo, Peru and Photo LA. twice winner of the Billboard Creative Entry competition and Filter Photo Festival in Chicago Ill. His photography has been published in a long list of publications, highlights: New York Magazine, The New York Times, The Huffington Post, Time OUT, Aperture, Daily News, OUT, American Photo, ARTFORUM, VICE, Musee, ARTnet and The New Yorker. In 2016 Ruben’s Marcy's Playground was selected for a new application and website campaign for Apple. His photographs are in the permanent collection of El Museo Del Barrio in NYC, The Center for Photography at Woodstock , NY , The Contemporary Collection of the Mint Museum Charlotte, North Carolina , The Bronx Museum for the Arts and The Museum of The City of NY. Limited Editon in two versions of 20 copies each, with an original 10 x 8 -inch archival pigment print signed by Ruben Natal-San Miguel.